Official Viwawa Blog: Movie Tickets Giveaway! 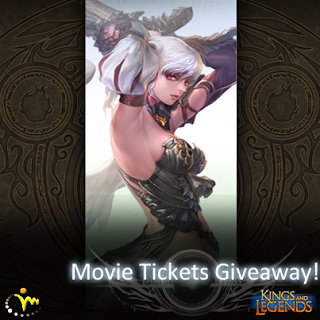 We are giving a pair of movie vouchers to every 20th NEW Kings and Legends player. Up to 100 PAIRS of movie vouchers to be given away! SO HURRY and DON'T FORGET to tell your friends! Check out LIVE WINNER UPDATES! Play Kings and Legends to win Viwawa Cash!